You are a Leasing Company, a Vehicle Importer, a Manufacturer? You want to sell your leasing returns and second hand objects quickly and professionally? 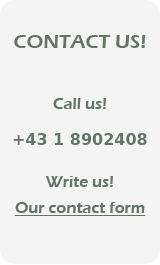 We offer you an efficient remarketing solution for your used objects! We build customized internet remarketing platforms that adjust to your needs in order to optimize the re-sale of your used vehicles. Our team of experienced developers uses the most modern technologies to ensure the best performance and reliability of your remarketing platform! What is our remarketing solution based on? this is how you keep the upper hand on your remarketing!